Comics Alliance posted an article today about Gabriel Hardman's wonderful sketches on deviantART. Hardman has produced many nice drawings of classic Marvel and DC characters which need more exposure. 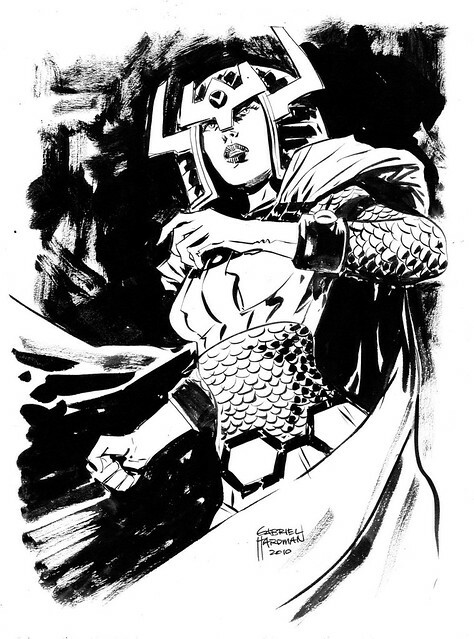 In keeping with our Mister Miracle theme this week, here is Hardman's rendition of Big Barda. I think he loves that Kirby headgear as much as I do. Nuff Said! Link: Gabriel Hardman Keeps It Classy, Even When He's Being Sketchy (Comics Alliance).